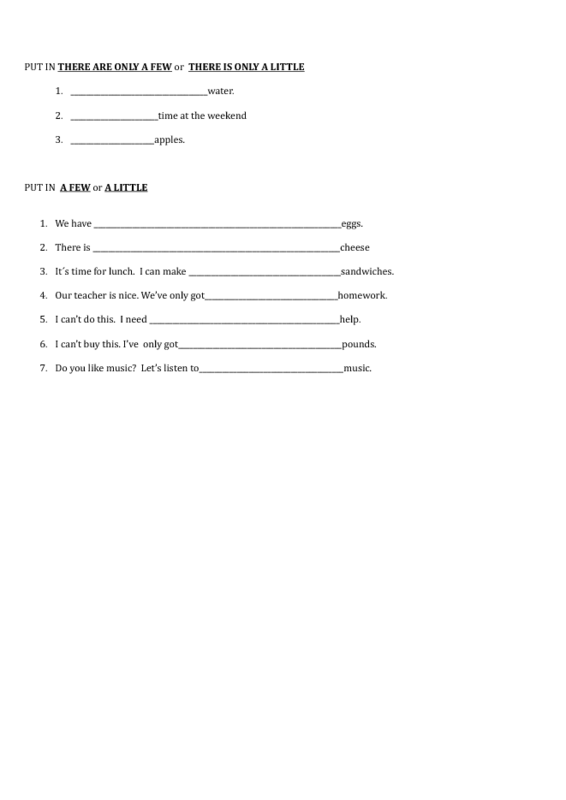 Easy, short gap fill worksheet to introduce quantifiers to ESL. While created for 5th grade, it could be used with a variety of grade levels as part of learning process for "there are, only, a few" and "there is, only, a little." This worksheet would be used after the subject is introduced.